This is a unique fitted cap with a great look! Perforated side panels help keep you cool. 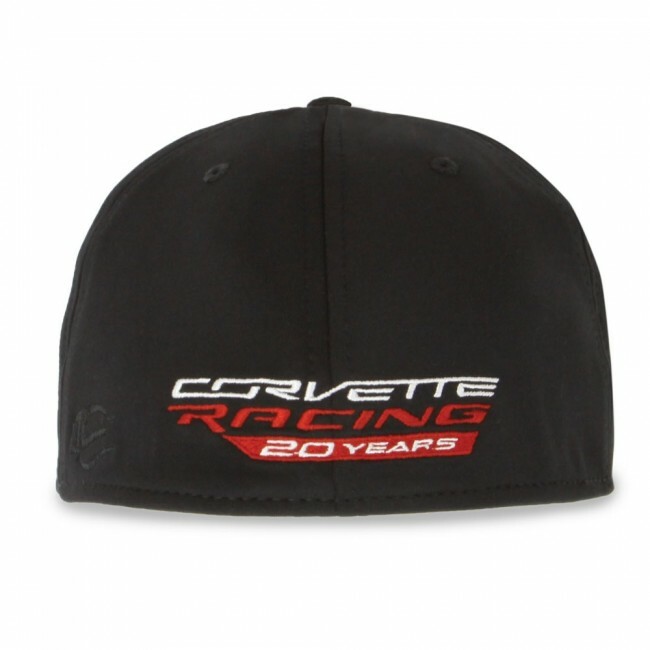 It has a structured mid-crown, slightly pre-curved bill with anti-glare undervisor. Polyester/spandex. Black. 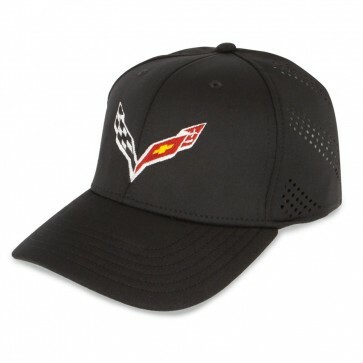 Embroidered with the C7 crossed flags on the front and Corvette Racing 20 Years logo on the back.